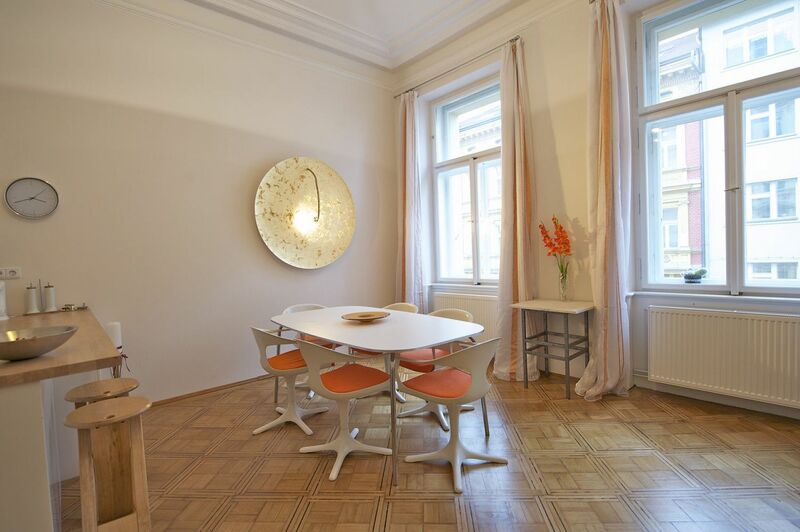 Benefiting from a central location, this is a fully furnished reconstructed 1-bedroom 2-bathroom flat with 2 balconies on the second floor of a renovated historic building with lift. 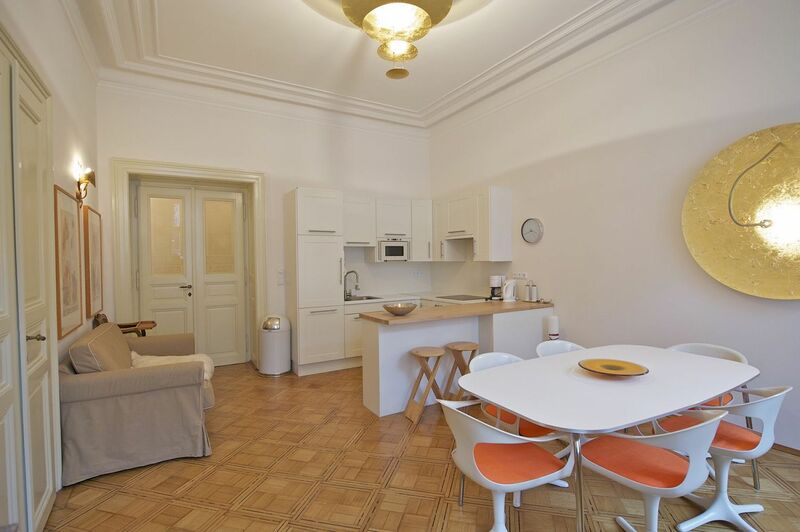 Located in a highly sought after residential neighborhood just steps from the National Museum, Wenceslas Square and the Muzeum metro station. 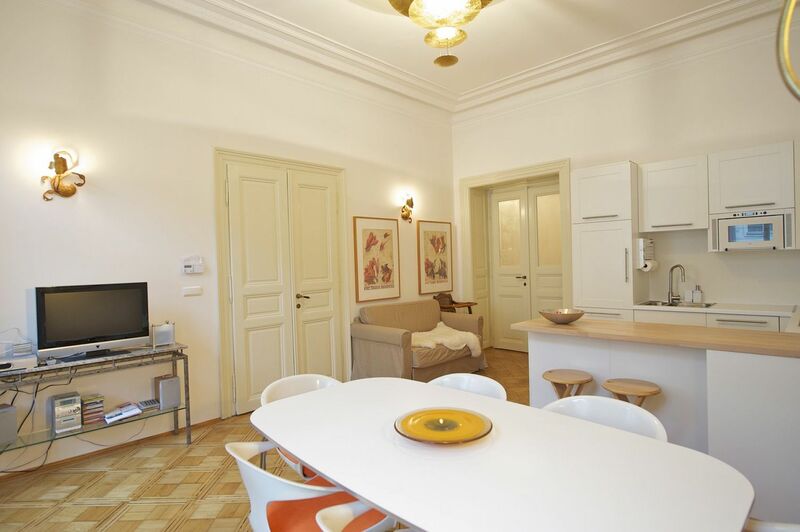 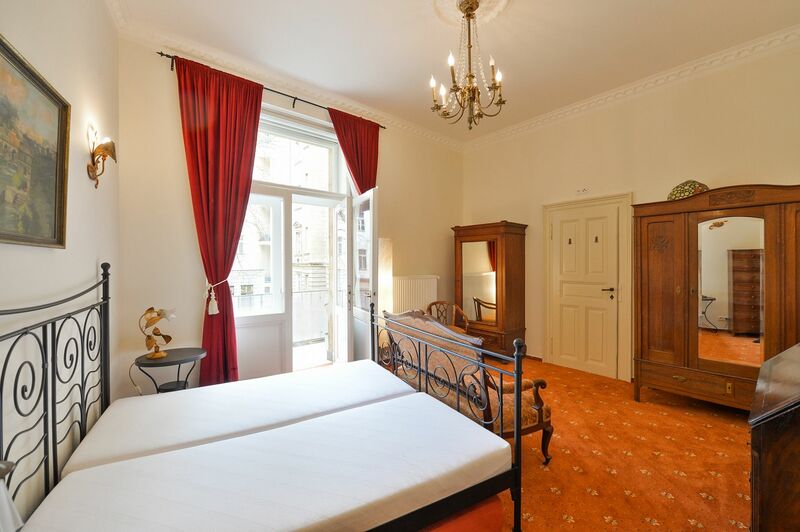 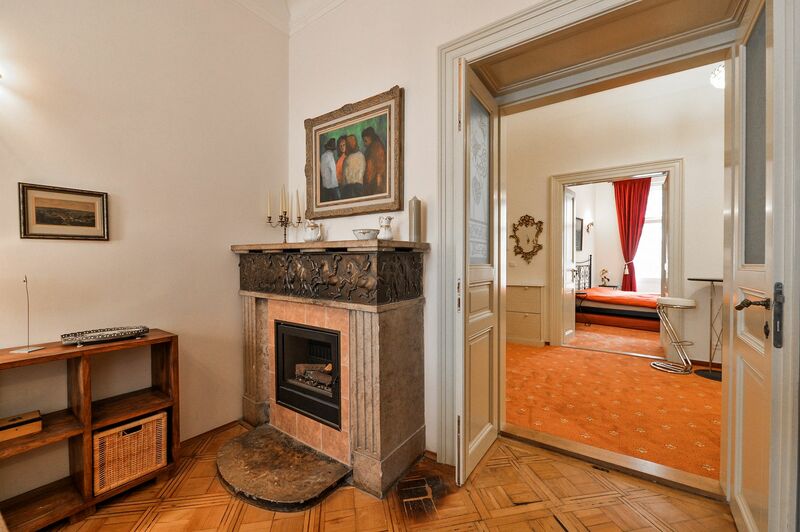 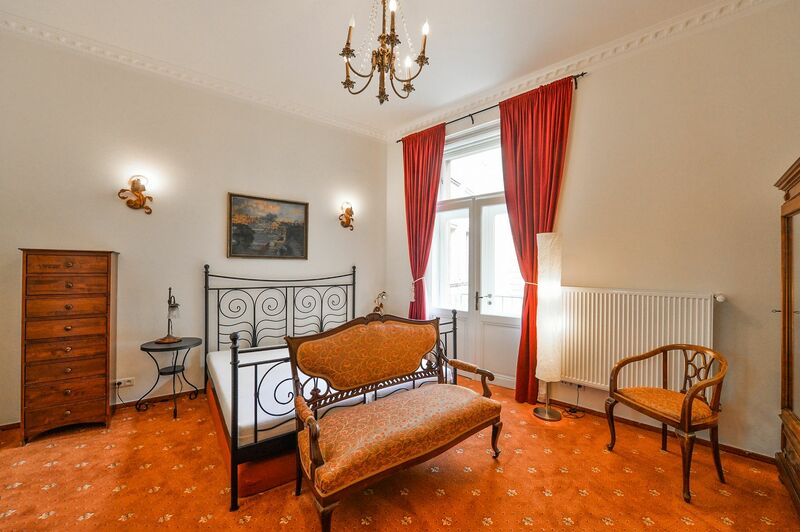 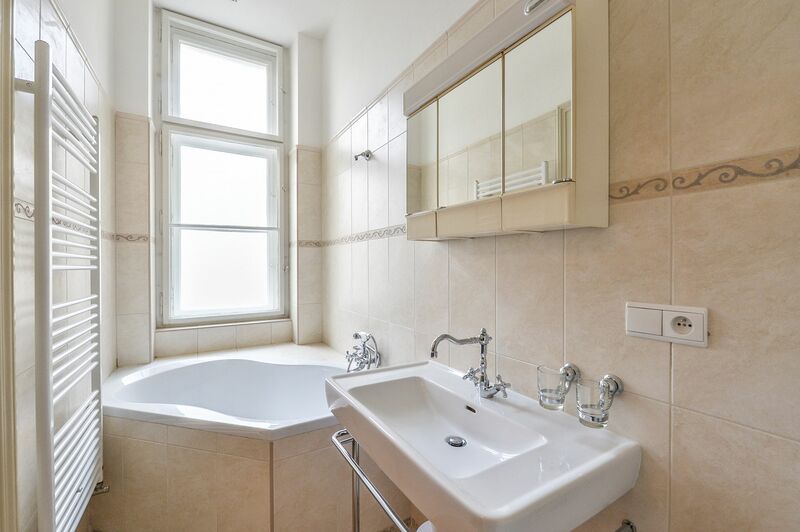 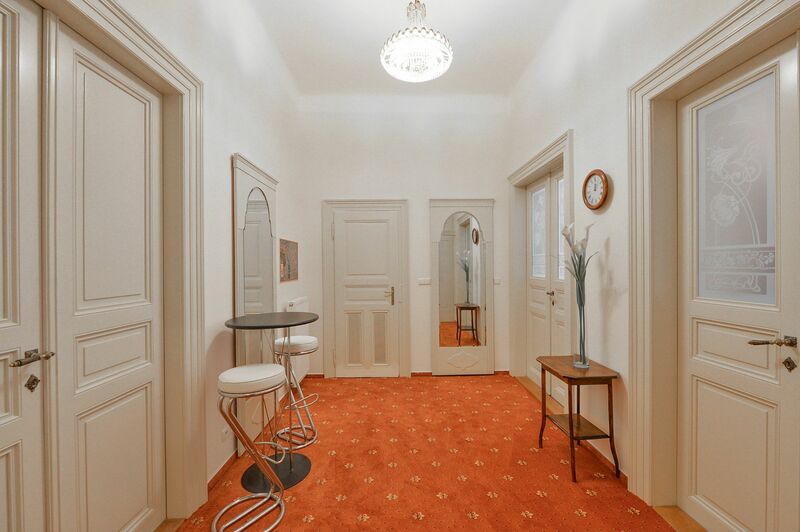 Within easy reach of full amenities and walking distance of Riegrovy Sady Park. 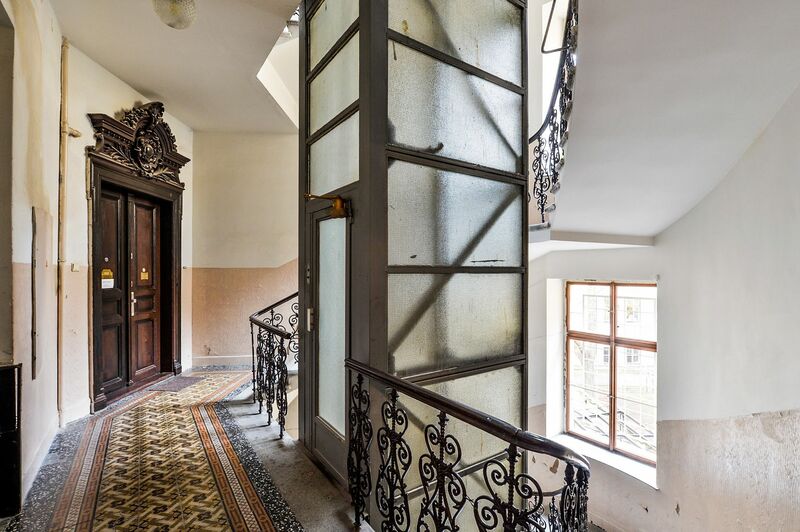 The interior includes a spacious central entrance hall with built-in wardrobes, living room with a balcony facing the street, a large fully fitted eat-in kitchen, one bedroom with an en-suite bathroom (bath, sink, toilet), and second bathroom (walk-in shower, sink, toilet). 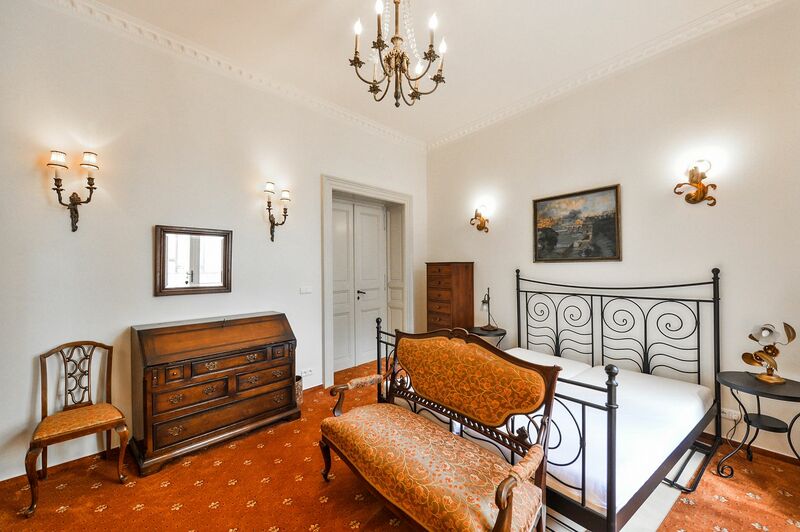 Preserved original details, high ceilings with stucco decorations, Swarowski chandeliers, solid wood parquet floors, carpets, soundproof windows, gas heating, security lock, two TVs, washer, dishwasher, microwave oven, satellite TV connection. 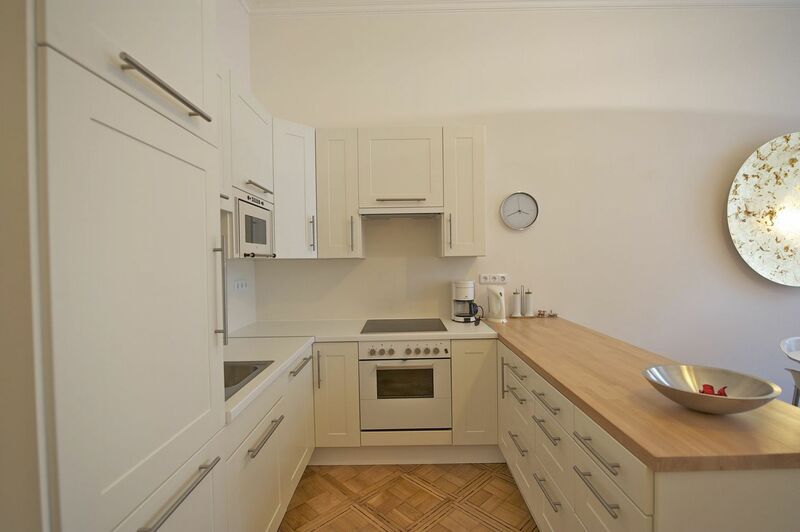 Independent gas and electricity meters. 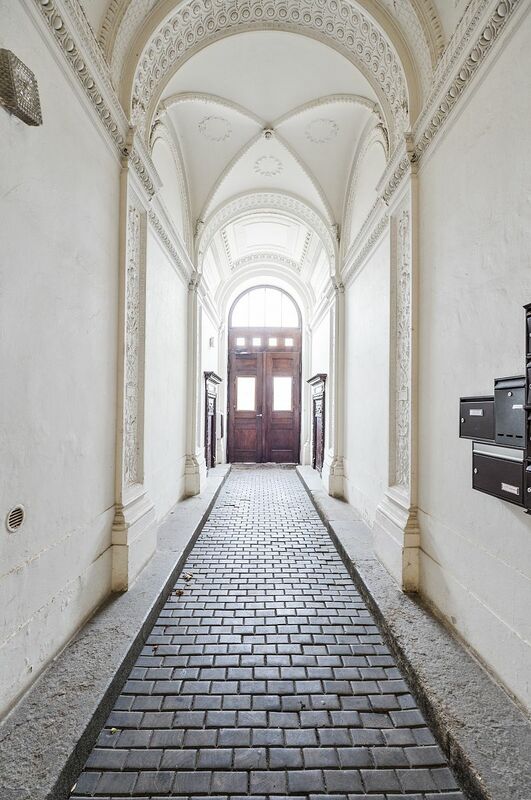 Shared entrance with one flat. 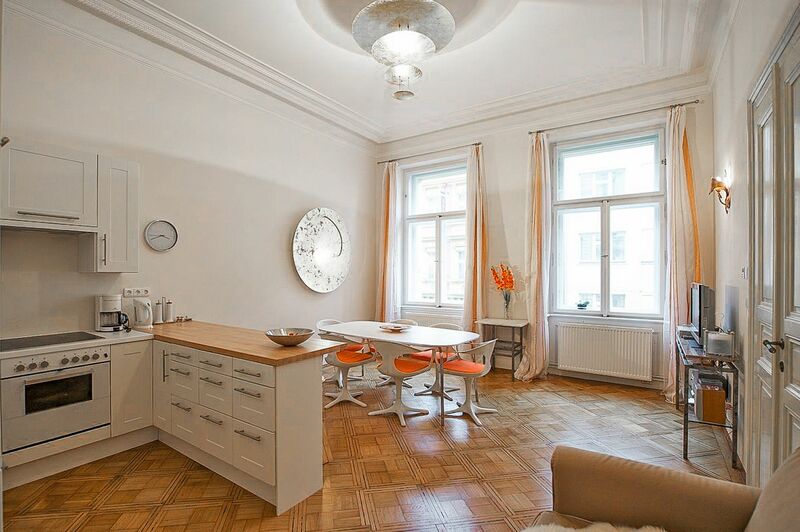 Deposit for common building charges and utilities CZK 2,500/month. 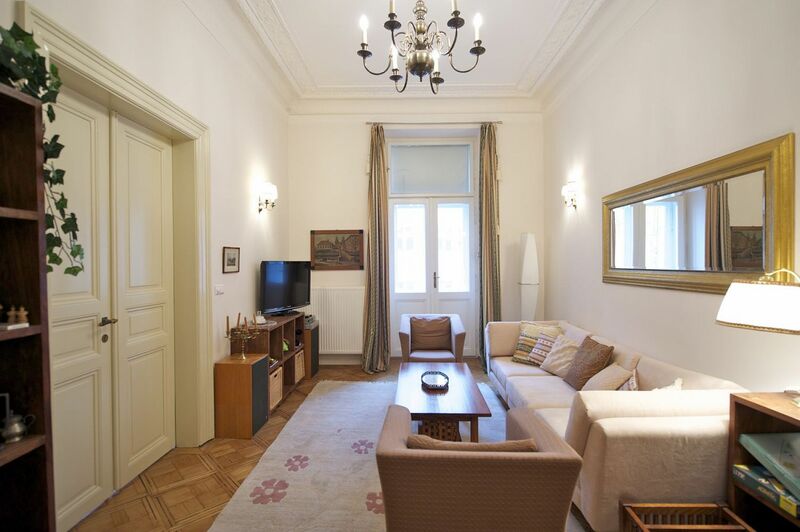 Interior 86 m2, two balconies (7 + 2 m2).